We’ve just finished user testing our brand new Enterprise Architect integration add-in and it’s had rave reviews from all of our testers. The add-in lets you import requirements and use cases directly from EA into your projects in Psoda, so there’s no need to manually transfer data between the two systems. It gives you full end-to-end traceability and flags any changes made to your data in EA automatically the next time you synch the systems, meaning you don’t have to go in and manually check for changes. You can learn more about the Psoda EA add-in over on the main website. The EA integration add-in is available now. 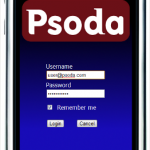 You need a Psoda account with Requirements and Test Management to access it. Login if you have an account already or sign up to get one.